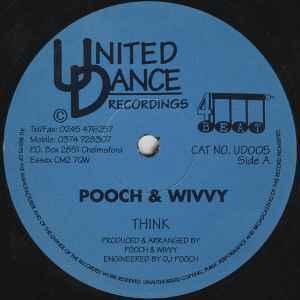 UD005 sees Kent based Pooch & Wivvy step up for the first non-Eruption release. I'm going off my memories on Think, but it was more of a 4/4 tune with the familiar stab pattern and another female vocal sample that I want IDing :) A chopped up piano that was more heads down stomping than hands in the air and a solid tune, but not an anthem and I don't remember it getting played that much. 'Riding Rhythm' on the flip starts with a pounding 4/4 and a chopped up breakbeat before dropping into the vocal sample from Betty Wright 'Keep Love New'. I'd definitely class this a happy jungle tune (Like Slipmatt's Breaking Free), as there's nary a piano on it and the stab/synth is very much in the Basement Records/Jack Smooth style. Still seemed to be a label hedging it's bets between the more breakbeat style and the the more 4/4 style.